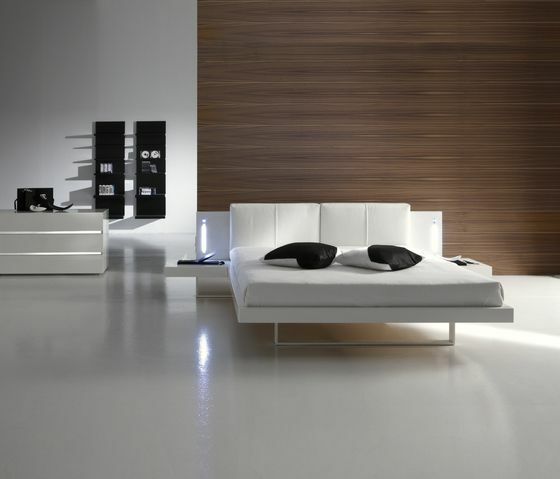 The Bay bed is a “multimedia bed”. In fact in a pure Former context, where rational design and the precise distribution of volumes reign, there are also, above all in the bedframe version, technological elements. The hi-fi system is of Bose Stereo System and it is at the peak but an excellent corollary is also the system of commands-socket on the wooden-bedhead, from which surface not only leather or fabric pillows, but also the vertical stream at the end of it. Everything is completed with the adjustable panel on which you can put the TV in a comfortable and ergonomic way.